This 2.5" to 3.5" hard drive adapter lets you install a 2.5" SATA or SAS hard drive (HDD) or solid-state drive (SSD) into an internal or external 3.5" drive bay, using standard drive-mounting holes. The 2.5" to 3.5" hard drive bay adapter lets you install a newer, higher performance drive such as an SSD into a legacy system that may only support a 3.5" hard drive. It provides a cost-efficient way to enhance storage performance and reliability without expensive upgrades to core IT systems. It's also ideal for system administrators who want to build a system that takes advantage of the increased performance of a 2.5" HDD/SSD. To utilize the full speed potential of your SATA/SAS drive, the adapter supports transfer speeds up to 6Gbps. You can install the adapter into a desktop, server, storage-array, hot-swap bay, and drive drawer. 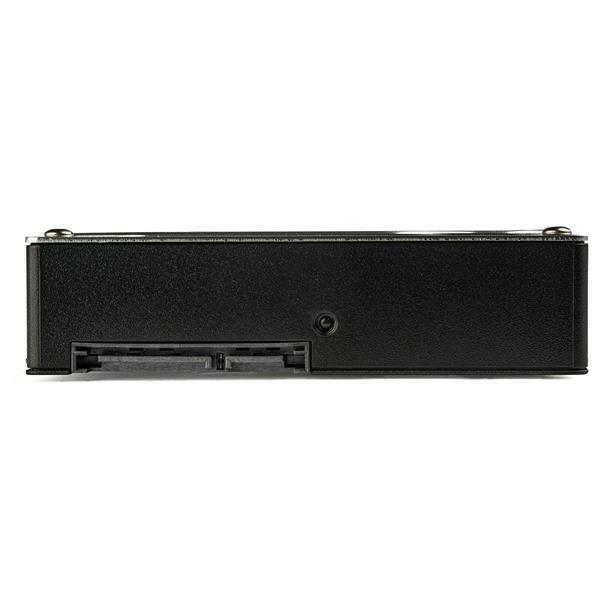 It offers permanent installation in a 3.5" drive bay with standard mounting holes. When the adapter is installed, you simply slide a 2.5" HDD/SSD into the adapter enclosure, with no tools required. The adapter is suitable for drives with a height of up to 15 mm. 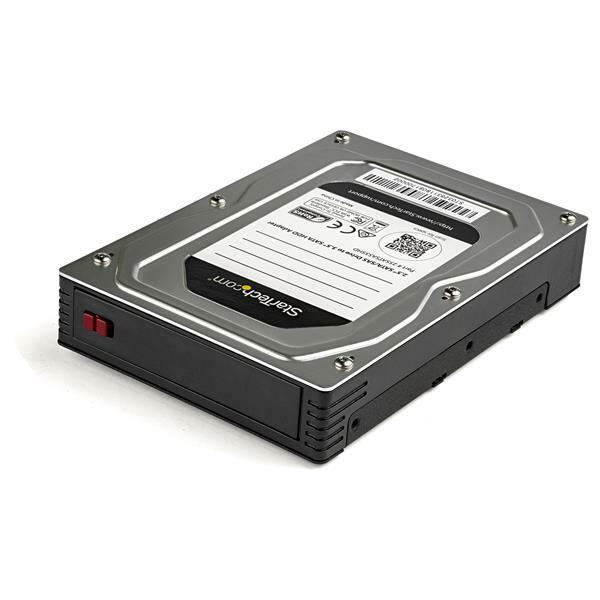 Virtually any 2.5" SATA/SAS drive can be made to look and function like a 3.5" drive. The adapter includes a label you can use to track and record information about the installed drive. The 25SATSAS35HD is backed by a StarTech.com 2-year warranty and free lifetime technical support. Note Although mobile racks can enable a Serial Attached SCSI (SAS) drive to connect using a standard Serial ATA (SATA) connector, the drive controller must be SAS compatible to properly support SAS drives. SAS controllers can work with SAS and SATA drives, but most SAS drives will only work with a SAS controller.